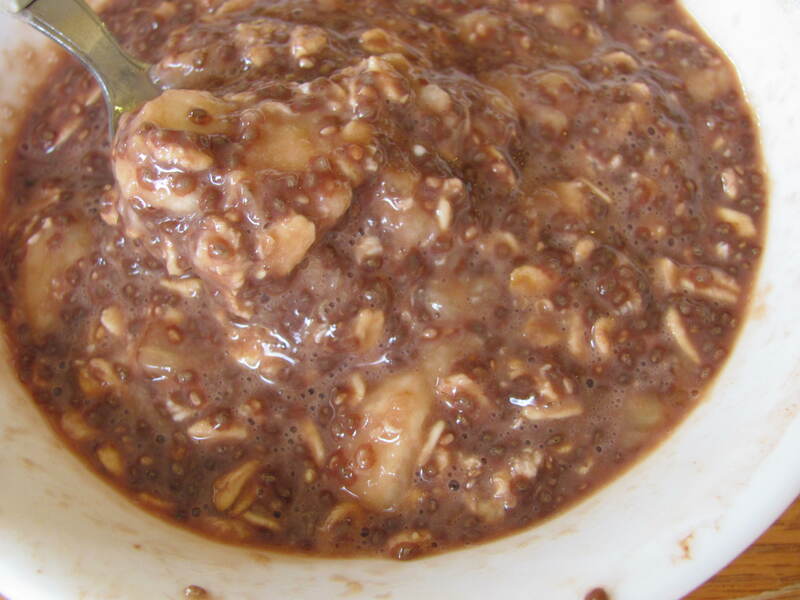 Angela’s Carob Banana Chia Overnight Oats. I used cocoa powder instead of carob. Yum, this was so filling and delicious. The 2 Tbsp. of chia seeds made this bowl very pudding-like. I think maybe next time I’ll use less chia. After breakfast we rushed off to portrait modeling. Same pose as last week. It’s a sitting pose and I have my forearm leaning on the chair. There were five artists painting me today. It’s so interesting because they all have a different perspective of the pose and each of their paintings is totally different, even though it’s the same pose! For the “studio” we are actually using a little wing inside a cute oldies, antique car museum. The museum is right in the middle of a little old beach town, so the only people we see walk through the museum are cute old couples. They stop and watch me in my pose as the painters work. It’s funny. After 3 hours, I came home and got cooking. 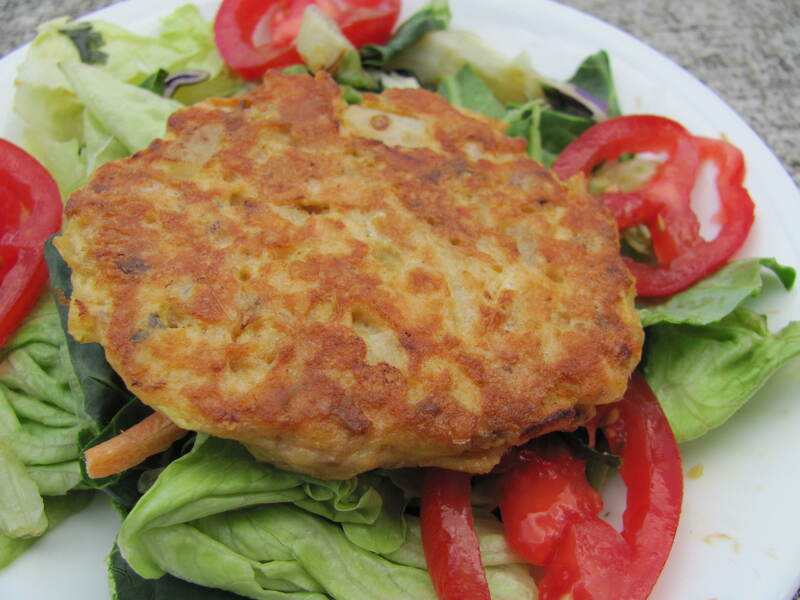 Salmon Patties from The Real Food Diet Cookbook. These are like the yummiest things I’ve ever made! When I flipped them onto the pan to let them cook, the wonderful aroma of sea food filled the house, you MUST make these, they are amazing. Heather posted the recipe on her blog, so I’ll just direct you over HERE to her post! 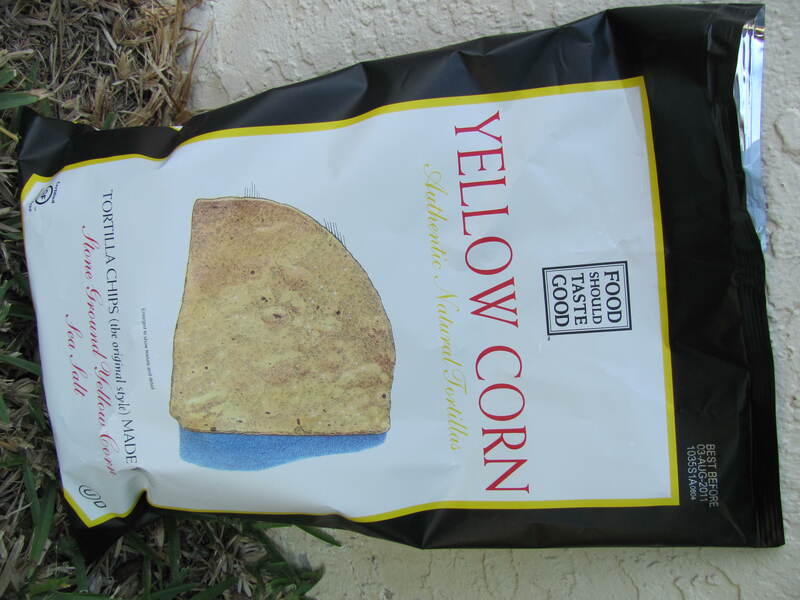 I used the Yellow Corn ones. These are so yummy because they are crispy and salty. Yum. And the ingredients are stellar. Just 3 ingredients! My church Summer Camp, called Girl’s Camp, is coming up in June. Last year, to fund raise, me and my friend made and sold this recipe of Chocolate Peanut Butter Easter eggs. We made them quarter pounders (they were pretty huge) and sold them for $4 each. They were a huge hit and we made enough money for us both to go to camp! Since we had so much success last year, I’m thinking we’ll do it again. Do you/did you go to overnight summer camp? What are your favorite ways to raise money? Never been to summer camp before….. So glad you liked the salmon patties. I need to make those again – maybe tonight for dinner. They were so good and really easy. I love my chia seeds, but I prefer them ground up first – that way you still get the thickening power without so many gelatinous little balls of good. I usually just grind them up in my Magic Bullet, but any blender would do. I went to overnight camp when I was 12 or 13. It was for 2 weeks, and I never went back. Got so homesick! Looking back, it was a lot of fun – but I’d never been away from home for more than a few days. I missed my family! i used to do basketball over night camps– but not this summer! college touring woo!! and wow!!! it must be hard to sit for so long for portrait modeling! Glad you enjoyed the overnight oats, and I’m glad you were able to make them successfully! Yay for raising all your money! We’ve done fundraisers in the past, too. We did a big spaghetti dinner this year, where we sold tickets and auctioned off baked goods. I made my vegan chocolate cream pie. 🙂 We raised enough so that none of us girls have to pay for camp! Mine’s really soon though… we’re going over spring break, which is unusual. We used to the same thing! We did the spaghetti dinner and auction. People always bid so high on the baked goods (like ridiculously high…$70 for one homemade pie!) and my leaders were starting to think we should do more work for our money and not take all the money from the ward members, so this year we did a yard sale in our parking lot. We made a lot of money but each girl still needs a little more! Oh I love church camp 🙂 I go as a leader now since I am in college and it is so much fun! That fundraiser sounds like a great idea!! I love those chips! I buy the sweet potato ones! I tried the chocolate version of those chips- they were delicious! I enjoy raising money for Relay for Life. I can’t wait for our Girl’s Camp!!! This year we get AIR CONDITIONING!!!! YAY! We got air conditioning after my second year. IT IS AMAZING. It makes camp a million times more enjoyable! We used to do an auction just like that, I loved baking for it! But this year (just last Saturday) we did a yard sale in the church parking lot and made a lot of money, but not quite enough. So that’s why I’m doing the pb eggs! 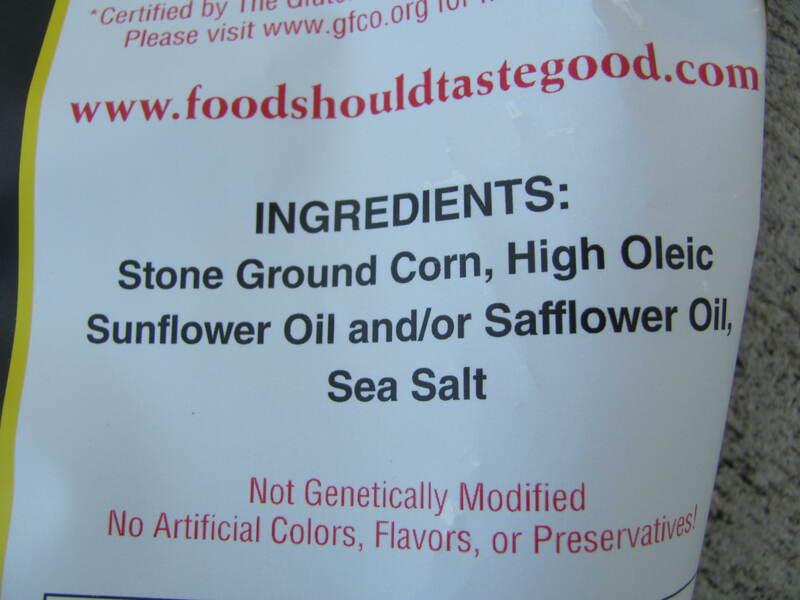 I love food should taste good’s chips! They are so yummy. Your overnight oats look so good! And so do those salmon patties…I love salmon! And that fundraising idea sounds great! We usually do bake sales, car washes, parties, and movie nights. So fun! I tried that recipe for overnight oats a couple weeks ago, delicious! I felt like i was having chocolate pudding for breakfast! 🙂 I didn’t go to summer camp as a kid, though I BEGGED my parents to let me they were always worried that something bad would happen to me being away for that long. But so many of my friends went to camp every year and it’s a favorite part of their childhood. Oh my goodness those oats look so good! The oatmeal on your blog always looks so delicious! I went to a music summer camp for 5 summers in a row. We would rehearse for 7 hours/day, but it was amazing. Best way to raise money ever – penny wars. We’re having one right now at my school to raise money for a charity. Each class gets a jar, and pennies = positive points and silver coins/dollar bills = negative points. The class that has the most points at the end wins! haha Everyone gets super competitive and we raise a lot of money! It’s great! I love the multigrain Food Should Taste Good chips! I’ve spent nearly all my summers at summer camp – as a camper & a counselor. I love it! Working at a summer camp is seriously the best summer job ever – I get paid to have fun 99% of the time (not so fun when campers wake you up 10 times a night because they have to go to the bathroom). I can’t wait for spring/summer and over night oatsss and fishhhh and sunnnn ahhhhh!! Yummy breakfast! I’ve been wanting to try Angela’s VOO! 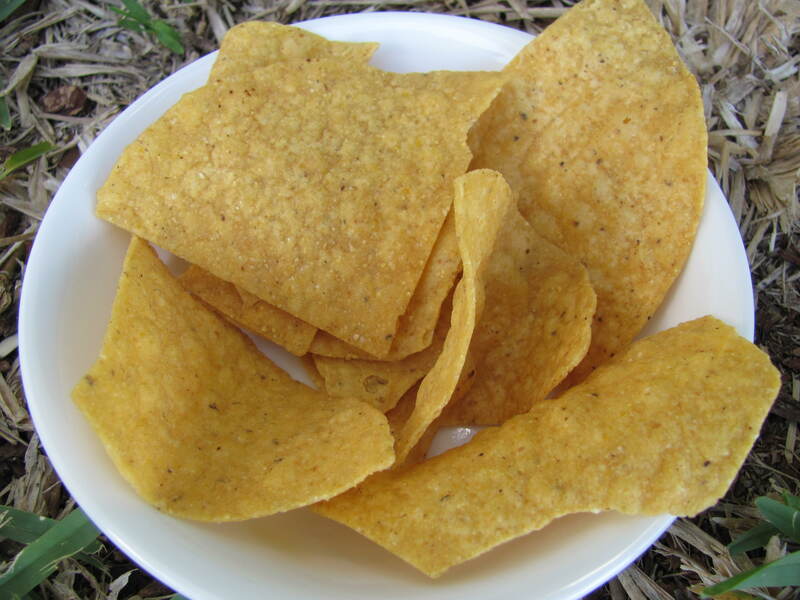 I loooove food should taste good chips! They discontinued my favorite flavor though 😦 boo! I go to overnight running camp! It’s soooo hard and you have to eat so much food to sustain yourself and all you want to do is sleep during the down time, but it’s a lot of fun. My favorite way to raise money is the “jail” game. If you’ve never heard of it this is the concept: you pay money to put someone in a “jail” that you build, and that person has to beg people to donate money to get them out of jail, but they have to get twice as much money as was paid to put them in jail! It’s usually done at carnivals and street fairs around us. It’s fun! That’s so cool that you’re modeling for a portrait!! The overnight oats look so yummy!! I went to overnight camp for a week for a couple summers, and I loved it! So many fun times b/c I knew I’d probably never see most of these people again ha! My favorite way to raise money is definitely a bake sale!! I did overnight camp, freakin’ loved it!!! !